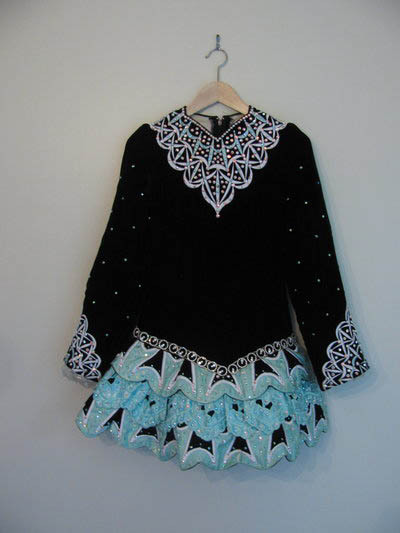 Elegant, black, and seafoam blue-green Gavin made for a 13-15 year old girl. This is a CHAMPION DRESS. 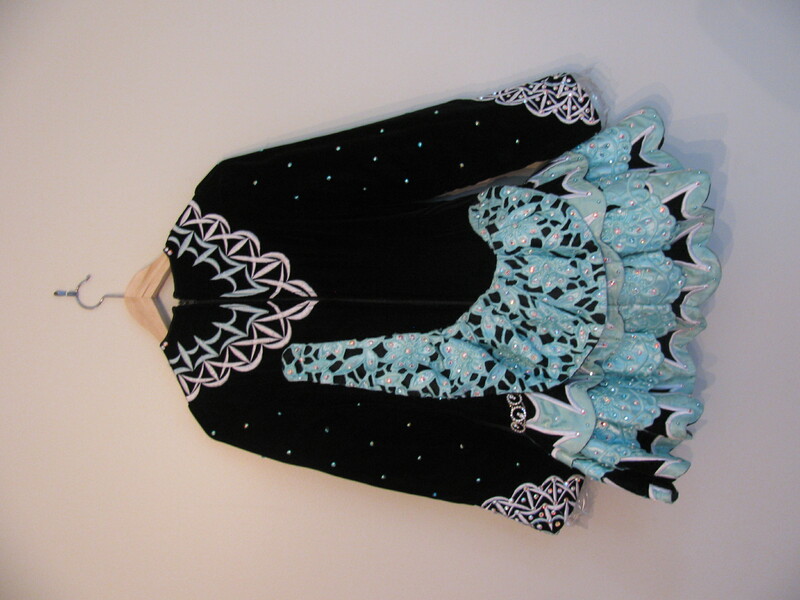 Made with black velvet with detailed embroidery, it has Swarovski crystals that sparkle on stage. 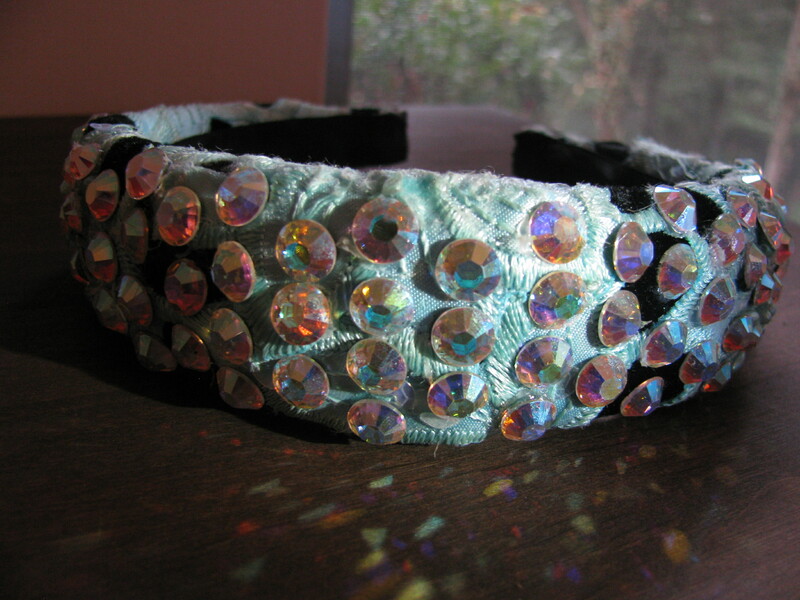 Comes with black bloomers and a headband (same colors as the dress) with many jewels on it. This dress is very detailed and stunning in every way. Any girl who wears it will fall in love with it instantly. 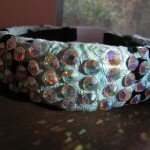 Included in the package, there are extra jewels to glue on if wanted or need be. Yes, there is room for alterations to be let out or let down.